Tired of having to climb into your cyclops while farming? Why not put the lockers on the outside? With this you can access storage without having to climb inside your Cyclops. And you can even use a fabricator! 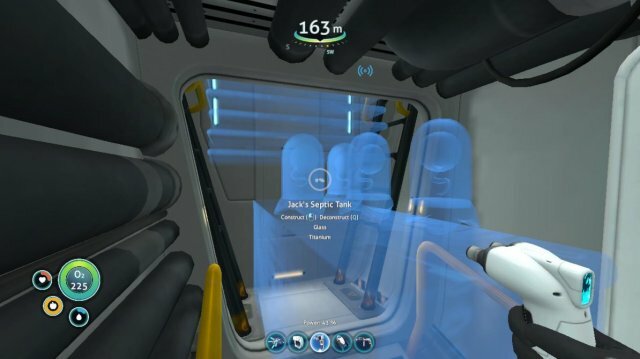 To build on the outside of your Cyclops you need to manage to get outside without exiting. By this I mean you need to glitch so you are underwater but you are not swimming. 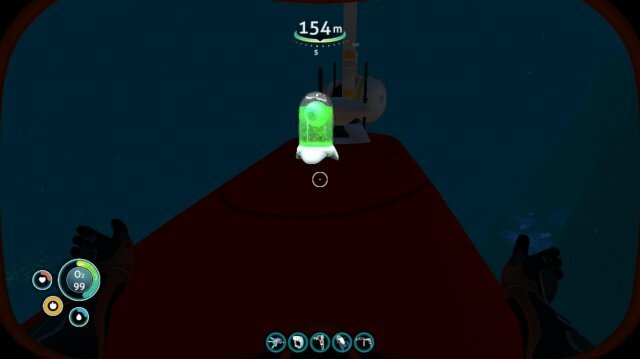 If you use the bulkhead glitch to do this however, anything you build will not move with your cyclops. Why? What I call building frames of reference. When you are building in your base it is in your base's frame of reference. So to for anything you build to move with your cyclops you need to be in its frame of reverence. How? 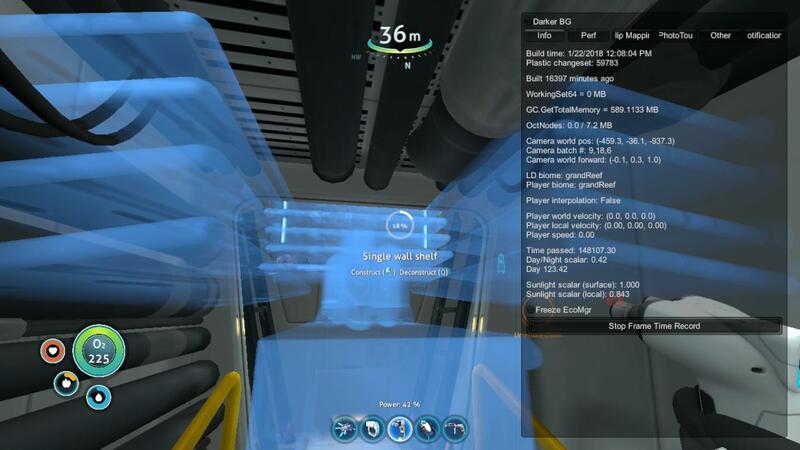 You need to push yourself out of your cyclops using troll physics! 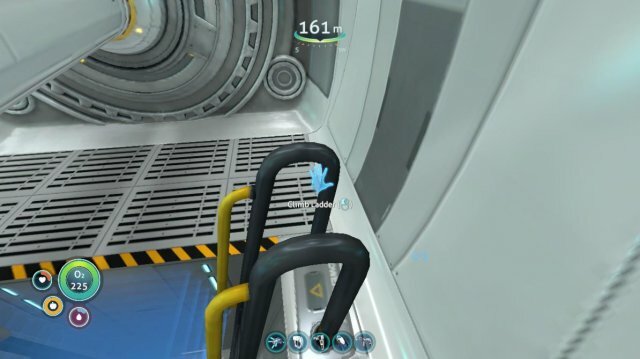 The easiest way is to use the ladders on the cyclops. I have had some luck with the rear ladders. I build single wall shelves starting at the top and stacking them down. You do not need to finish building them! 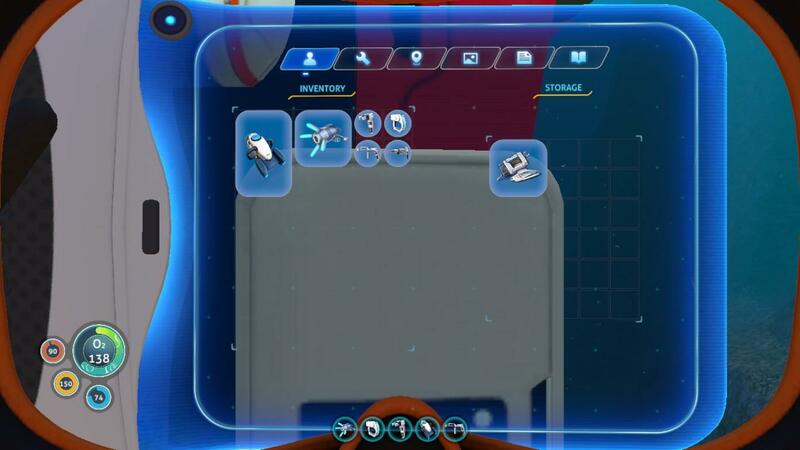 So you don't need any materials, only blueprints. Then I fill the bottom gap with the counter and throw stuff on top. Once you have the area filled use the front ladder to get to the engine room and save your game. Now before you kick off the troll physics! you need to know what you are trying to do after all hell breaks loose. Your goal is to be pushed out of your cyclops and land on the ground near where your cyclops comes to rest. 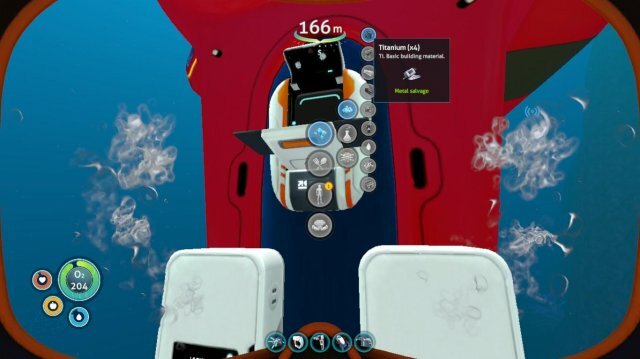 There seems to be a sort of bubble around the cyclops if you get too far away you will start swimming. This means you have exited the cyclops' frame of reference and can no longer build on it. If you do not want to use console commands then just climb down the ladder and reload your save to reset if you fail or die. If you don't mind using the console then I recommend turning off damage with "damage 0" and you can use "warpme" to teleport back to your cyclops if you get flung too far away. 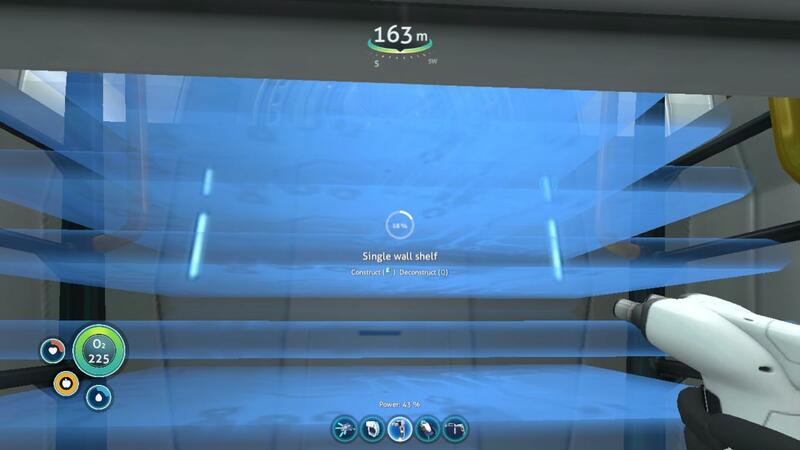 If you want to reset use "gamereset" to quickly reload your save. This part is very hit and miss. I have had some success spinning while holding forward, but you can not predict troll physics! 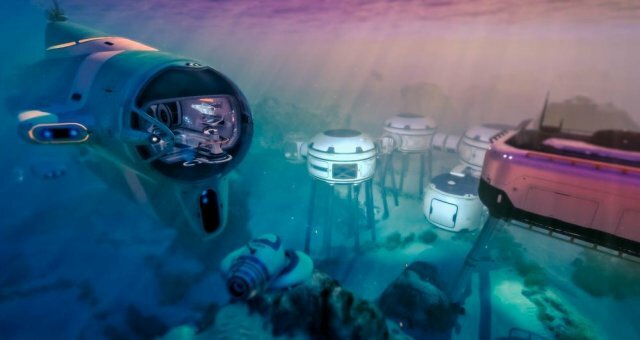 IF you manage to land on the ground underwater, congradulations! 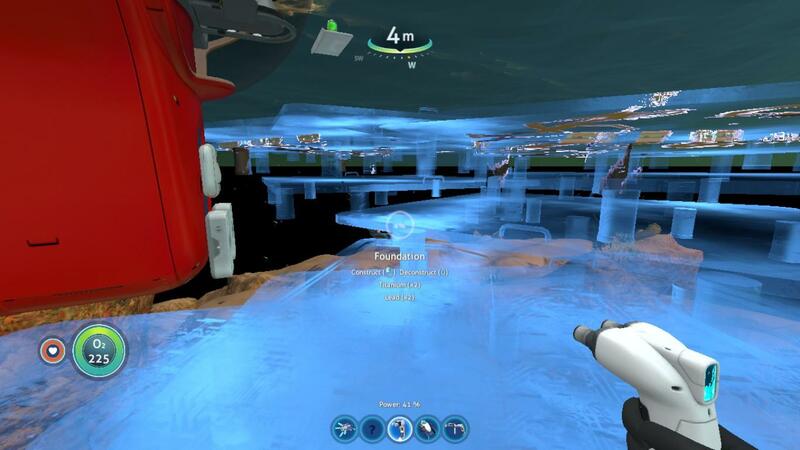 Run over to your cyclops and try building on it. Don't worry about finishing things, as long as you start building something you can finish building it later after the glitch wares off. 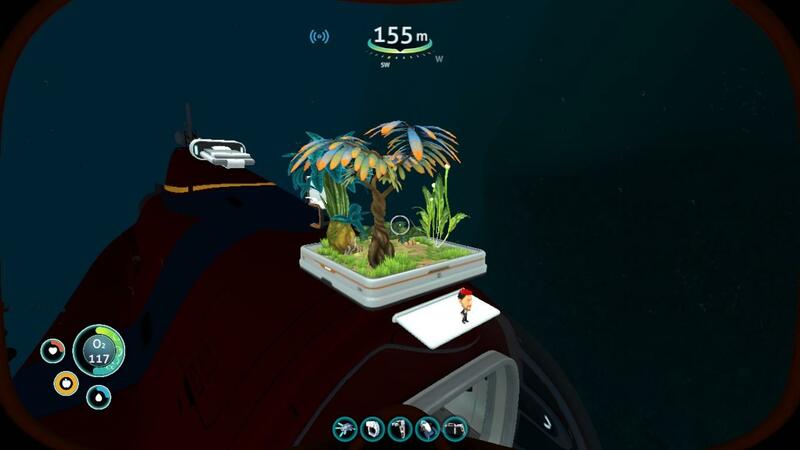 If you can not reach your cyclops you can try placing foundations to make a staircase (still do not need materials). Once you are finished building just run away from your cyclops to start swimming again. 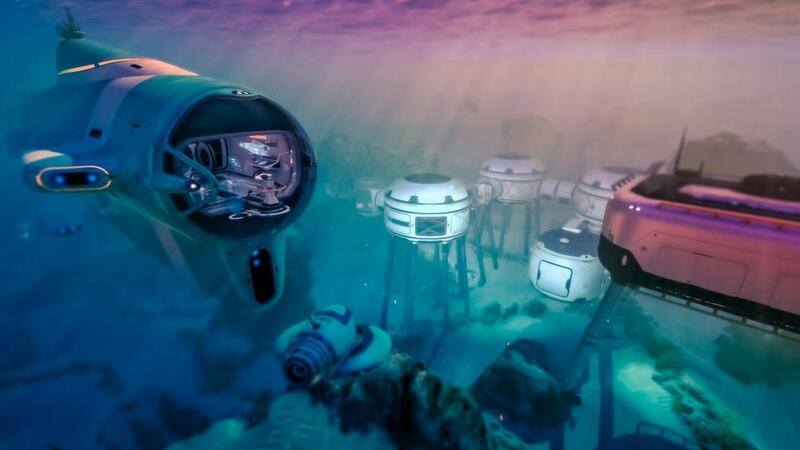 Now that you are swimming you can go back to your cyclops and finish building things and clean up your foundation staircase. 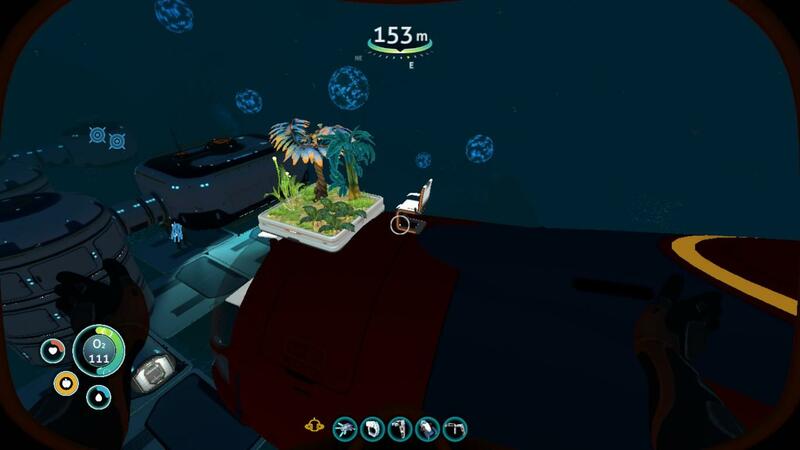 Make an exterior interior growbed. Make a nice seat to take in the view (Unfortunately you can not use it while swimming). 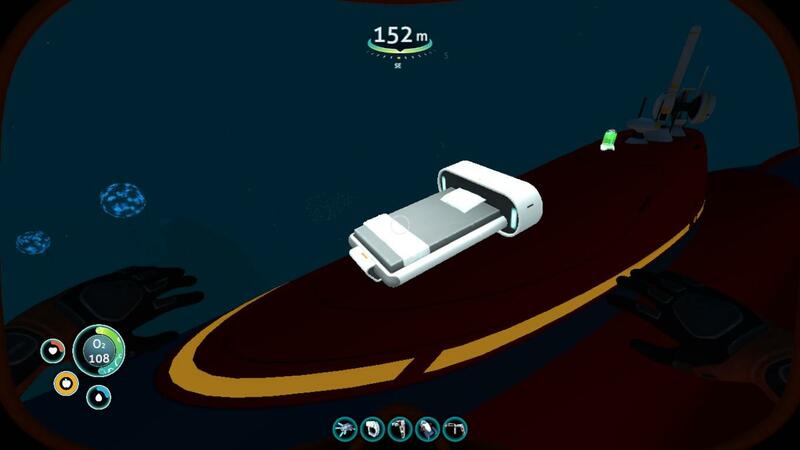 A nice bed to sleep under the stars on the go (Also can't use while swimming). Or just some nice decorations.